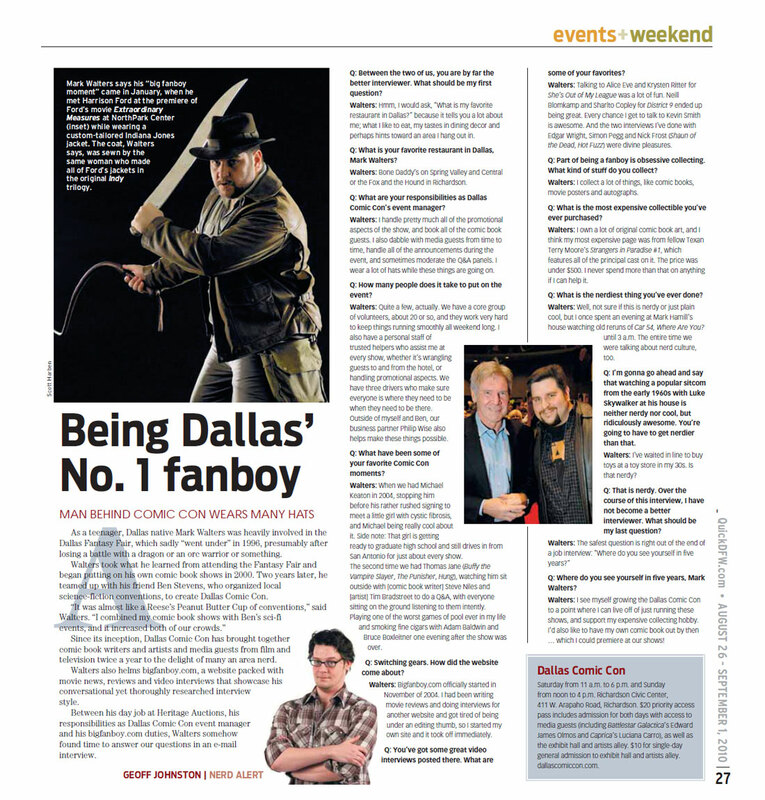 For whatever reason, Geoff Johnston at Quick (a weekly publication that is an extension of the Dallas Morning News) thought I was interesting enough to do an interview with for his paper. 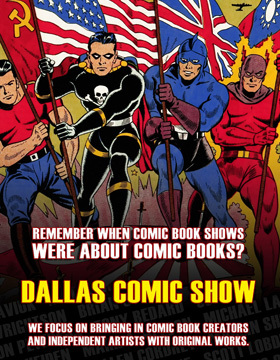 Actually, Geoff is a great guy and very supportive of the local comic book scene, and especially the Dallas Comic Con and Sci-Fi Expo events I manage here in town. 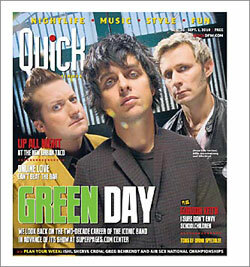 He’s always been good about giving us attention the week of the shows, and filling those articles in the paper with exciting full-color images of everyone’s favorite superheroes. So when he asked me if I’d be willing to do an interview that revolved around my duties here at Bigfanboy.com and the Dallas Comic Con events, I wasn’t just happy to say yes, I was honored. Now I will say that some of what was discussed got cut, which is to be expected whenever doing something for print. I write for Heritage Magazine from time to time, and almost every piece I’ve ever done went through heavy edits before seeing print. That said, the meat of our discussion is in here, and I was very pleased with how this came out. 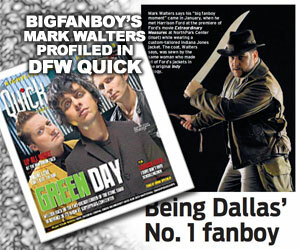 If you’re in the Dallas area, be sure to pick up Quick every Thursday and check it out. It’s a great source for information on local events, restaurants and shops, and just general news of interest. One small note I need to get in here – the photo of me with Harrison Ford was taken by the great Don Gaster. I sent them a credit to go with it, but it accidentally got left off. The photo of me as Indiana Jones was taken by my buddy Scott Harben, who is (without a doubt) the best studio photographer in Dallas. You can click on the image below to blow it up so you can read it easier.